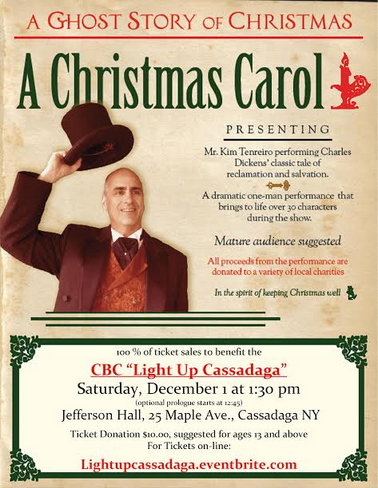 Mr. Kim Tenreiro performing Charles Dickens’ classic tale of reclamation and salvation on Saturday, Dec. 1 at 1:30 p.m. at Jefferson Hall, 25 Maple Ave., Cassadaga. A dramatic one-man performance that brings to life over 30 characters during the show. All proceeds during the performance are donated to a variety of local charities.